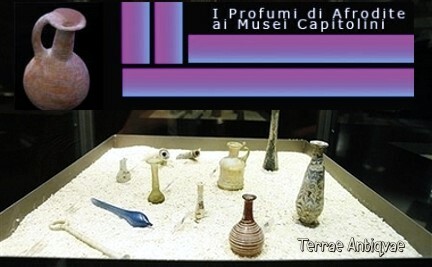 A view of glass containers on display at the Capitoline Museums, part of an exhibit of four perfumes recreated by a team of archaeologists from 14 original fragrances dating to 4,000 years ago, Wednesday March 21, 2007. Digging in the Pyrgos-Mavroraki site, some 90 kilometers (56 miles) southwest of Nicosia, Cyprus, turned up a complex archaeologists believe was used as a perfume lab. 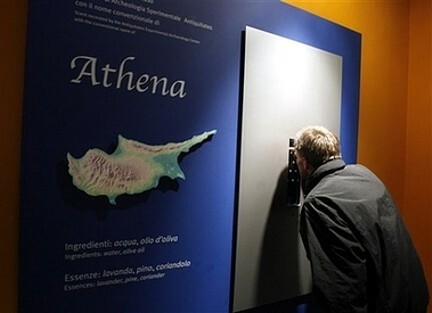 The exhibit is designed to offer the rare chance to smell the scent of ancient history - typically a mix of natural spices and olive oil - featuring fragrances from the worlds oldest known perfume factory. (AP Photo/Alessandra Tarantino) Invaluables. Los frascos de cerámica, de 4 mil años de antigüedad, sobrevivieron a un terremoto en 1850 a. C.
El más antiguo perfume conocido fue encontrado en la isla de Chipre, en el Mediterráneo, lugar que la tradición asegura fue donde nació Afrodita, la diosa griega del amor y la belleza, anunciaron arqueólogos italianos. Los frascos de cerámica, de 4 mil años de antigüedad, sobrevivieron a un terremoto en 1850 a. C. entre los restos de lo que parece fue una fábrica de perfumes, en una zona conocida como Pyrgos, de acuerdo con Maria Rosaria Belgiorno, integrante del Consejo de Investigación Nacional de Roma. La fábrica ocupaba un predio de unos 300 metros cuadrados y parece ser parte de un complejo industrial y artesanal muy importante, asegura la experta. Los frascos se salvaron, intactos, debajo de los muros colapsados, con esencias y jugos mezclados, añadió Belgiorno, quien explicó que actualmente están en exhibición en el Museo Capitolini, en Roma. El equipo de Berlgiorno analizó los residuos de los perfumes e identificó 14 fragancias nativas del Mediterráneo, usadas en la producción de perfumes. Extractos de anís, pino, bergamota, almendras, coriandro y perejil, solos y mezclados, fueron identificados por los expertos químicos. Además, un equipo de arqueología experimental de Blera, Italia, recreó algunos perfumes utilizando técnicas descritas por Plinio el Viejo, el cronista romano que murió observando la erupción del Vesubio en el año 79 de nuestra era. Plantas y hierbas fueron agrupadas y mezcladas con aceite de oliva en vasijas de arcilla, así como en aparatos de destilación también de arcilla, explicó Belgiorno. El aroma de estos perfumes es una experiencia fantástica, que recrea en nuestra mente una serie de recuerdos ancestrales, describió la arqueóloga. El perejil, dicen los expertos, es una fragancia terrible si es usada sola. Pero como liga de otras esencias resulta sutil y deliciosa. El equipo italiano piensa que es posible comercializar las recreaciones de los perfumes griegos, pero los expertos han advertido que su mejor nicho de mercado serían museos y lugares cultos, debidamente empacados en frascos de arcilla, como los originales. Por cierto, la diosa Afrodita tenía, en su leyenda, la fama de regalar a sus elegidos perfumes. Belgiorno afirma que no sabe si los perfumes griegos tenían alguna conexión con la diosa se supone que fueron fabricados antes de que se describiera el mito griego, pero lo cierto es que tienen una riqueza increíble. Nada de la perfumería actual, con sus avances tecnológicos, se acerca a la exquisitez de los perfumes de la isla de Afrodita, culminó. The oldest known perfume factory in the Mediterranean, buried by an earthquake in the IInd millenium B.C. has been brought to light in Pyrgos on the island of Cyprus by research from 1998 onwards by the Italian Archaeological Mission of CNR. 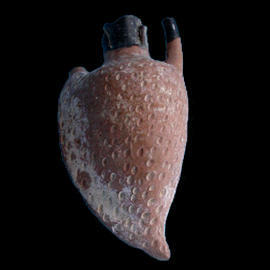 This exhibition presents more than 100 archaeological finds from the excavations and the nearby Museum of Limassol, as well as the fragrances themselves, which have been recreated using the techniques of experimental archaeology. 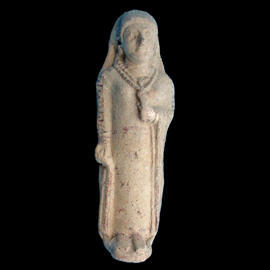 This exhibition originates from the recent excavations carried out by the Italian Archaeological Mission of CNR (the National Research Council) in Pyrgos, in the south-western part of Cyprus island. The excavations - directed by Maria Rosaria Belgiorno - brought to light the remnants of a large industrial site dating back to the 2nd millennium B.C., which specialised in olive oil production. 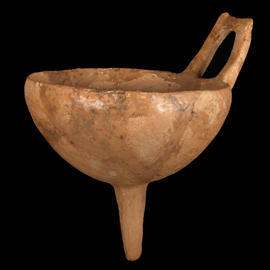 In addition to an oil mill and warehouse, areas were found where olive oil was employed in weaving, scent production, and metallurgy (oil was used as a fuel to reach high temperatures in smelting processes). The extraordinary extent of the discovery is the finding of an intact archaeological site: the area was supposedly abandoned in 1850 B.C. after an earthquake and a massive fire fuelled by the huge amount of oil. 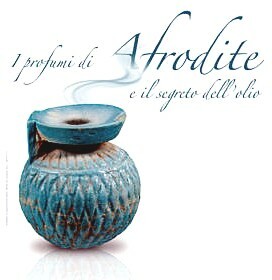 The exhibition features the intriguing discovery of the oldest known scent factory, where the perfectly preserved facilities, vessels, and furnishings have allowed the Italian team to redesign the methods used to extract essences and the different steps in scent production. Accurate analyses have shown that when the earthquake broke out, 14 different essences were being made in the scent factory, including: coriander, bergamot, laurel, myrtle, lavender, and rosemary. 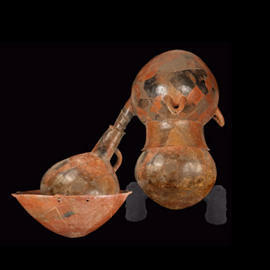 Among the wide-ranging set of vessels on display, two precious vases of excellent workmanship are worth mentioning: an amphora with two anthropomorphic statuettes serving as handles and an ewer decorated with embossed serpents beside a human figure. 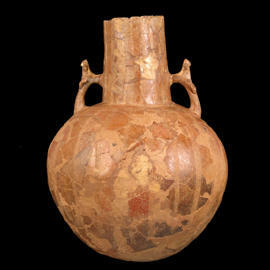 The distiller - consisting of 4 big earthenware pots - is particularly interesting because it is the first example of a still in history and allows knowledge about distilling practices to be dated more than 2600 years before the 7th century A.D., when the Arab people were thought to have invented them. The exhibition halls recall the lush vegetation existing in Cyprus and visitors will have a chance to smell the different fragrances recreated - based on the literature of ancient times - using raw materials and tools similar to the original ones. The continuity in the production of scents until the Byzantine era is documented by a number of perfume bottles, like a small glass bottle with embossed roses and a bunch of grapes, some remarkable censers found in the temple of Aphrodite in Amathus, and two praying statuettes holding a flower in their hands. The exhibition is closed by some modern objects that are still used nowadays in Cyprus to make essences for domestic or liturgical purposes: stills to extract perfumed oils from lemon, sour orange and rose. The island - consecrated to Aphrodite, connected to scents and female beauty - has remained popular throughout the centuries and its renown has been revived in the creation of Chypre de Coty - one of the best-known perfumes of last century - made by François Coty in 1917.